This week the National Institutes of Health awarded a $2.3 million grant to The New York Blood Center’s (NYBC), one of the largest independent, community-based blood centers in the country, to study potential solutions to abnormal immunologic responses to blood transfusions in patients with sickle cell disease (SCD). The principal investigator of the study and lead awardee is Dr. Karina Yazdanbakhsh, PhD, an associate member and head of the Laboratory of Complement Biology at the NYBC. Yazdanbakhsh’s research aims to understand the body’s immunologic mechanisms involved in the adverse complications associated with blood transfusion with the goal of identifying therapeutic strategies that both target and correct these defective immune system components. The new grant marks the second NIH grant received by Yazdanbakhsh for research into the immunologic mechanisms involved in SCD. To fulfill the grant requirements, Yazdanbakhsh and her colleagues from the Lindsley F. Kimball Research Institute will study a subset of cells in the immune system, called follicular helper T cells, and how these cells control the body’s immune response to foreign antigens. Antigens are substances that, when introduced into the body, promote an immune response – a process known as alloimmunization. The primary goal of the project is to discover potential biological measures of disease, called biomarkers, that can be identified and give health providers an advance indication of which SCD patients may be at a higher risk of abnormal reactions to transfusions. Proaction could possibly prevent complications. Yazdanbakhsh said the study will also investigate how sickle cell disease reacts to the effects of vaccination. “Follicular helper T cells are very important in vaccine responses. By characterizing these cells we hope to discover how to manipulate them to optimize vaccination in these patients who are at high risk of infections,” Yazdanbakhsh said. 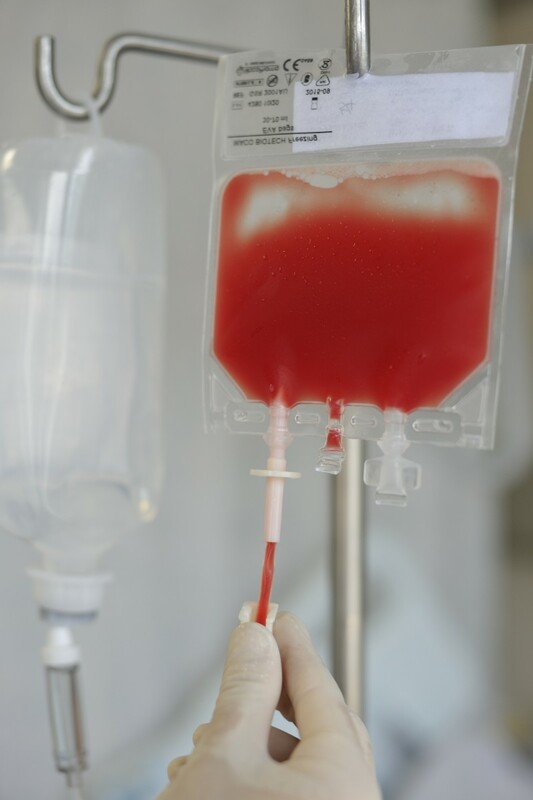 Tagged blood transfusions, Lindsley F. Kimball Research Institute, maladaptive antibodies, New York Blood Center.